I know this product is kinda old news but I've finally gotten around to trying out these bad boys lol. I actually bought these on amazon since I had a visa gift card and on amazon the colours I wanted were not sold out. From Revlon website "Buttery Balm with beautiful shiny colour to give you baby soft, healthy glowing lips. 94% of women felt lips were softer, smoother and instantly hydrated." Comes in 0.09 ounce. I'm in love with these two lip butters the moment I put them on my lips. 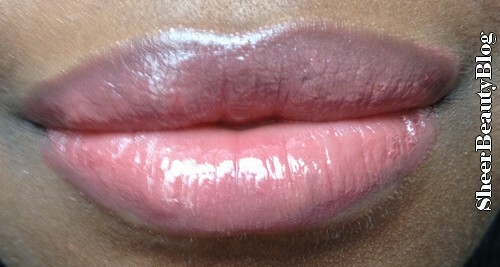 They make my lips feel so smooth and soft. And I think the packaging is so cute. I also like that at the top of the lipstick cover it's clear that way can get a look at the colour, as sometimes in drugstore they don't have tester or the tester are gone etc. The shades that I got were Pink Truffle and Sugar Plum. 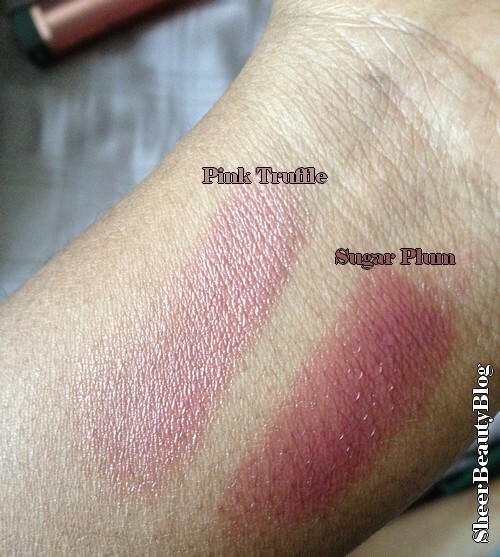 Now don't be fooled by the name Pink Truffle because it isn't really a pink colour. It is more of a shade of brown/pink mixture. But that is fine with me as I think this colour looks great as a mixture of brown and pink. Sugar Plum what can I say lol besides that the shade is purple in the tube but when applied on me it looks more pink with a purple tint. I'm in LOVE with these two Revlon products and will for sure be trying more from this line. Colours that I hope to try are Peach Parfait, Lollipop, Berry Smoothie, Candy Apple, Gum Drop, Strawberry Shortcake, Cotton Candy, Sweet Tart, Cherry Tart and Raspberry Pie. As you can see there is a lot more colours I want to try. 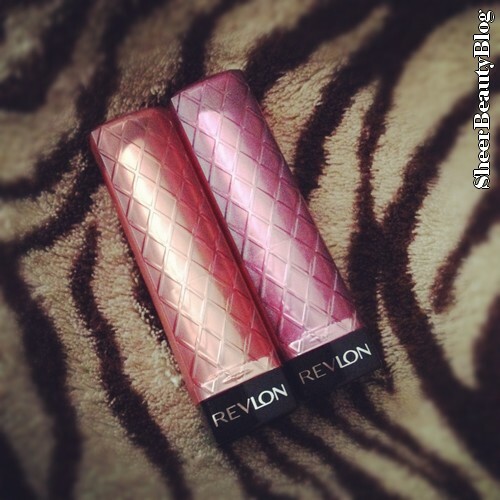 Do you like Revlon Colorburst Lip Butter? Which colours have you tried?